Vietnam Hi is an experimental project dedicated to street food for young investors. It is located at the very heart of Kyiv, in Bessarabka marketplace, where everyting is sold from the open market stalls rather than in fitted enclosed spaces. 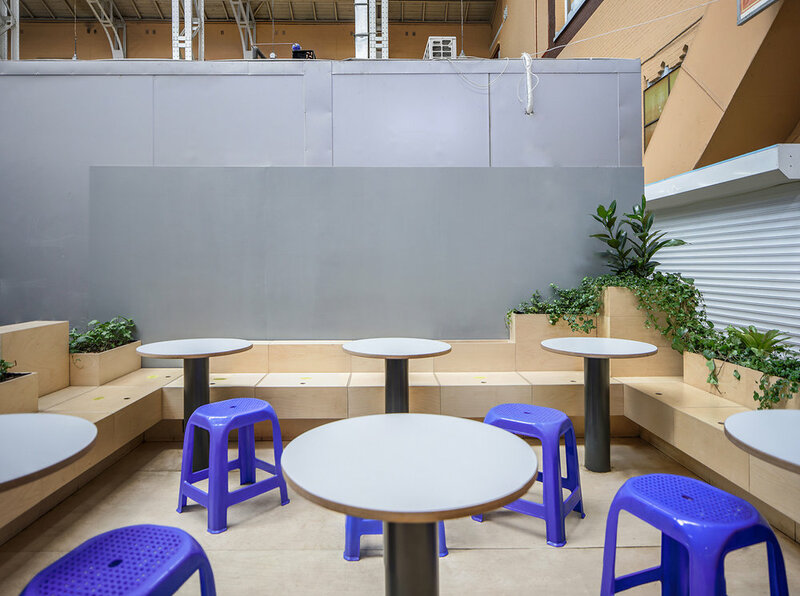 The place has historical and cultural value, so we wanted to preserve the effect of a traditional market stall, but at the same time add the aura of modern design. We had to develop a concept of modern kiosk. We divided the space horizontally: lower part became a modern structure that visually separated our project from the marketplace. You can see the loaded top part of it from afar, but it’s only when you come closer you realize that it rests on a functional platform with hidden cabinets and lockers.